Why are Barns Painted Red? Many years ago, choices for paints, sealers and other building materials did not exist. Farmers had to be resourceful in finding or making a paint that would protect and seal the wood on their barns. Hundreds of years ago, many farmers would seal their barns with linseed oil, which is an orange-colored oil derived from the seeds of the flax plant. To this oil, they would add a variety of things, most often milk and lime, but also ferrous oxide, or rust. Rust was plentiful on farms and because it killed fungi and mosses that might grow on barns, was very effective as a sealant. It turned the mixture red in color. 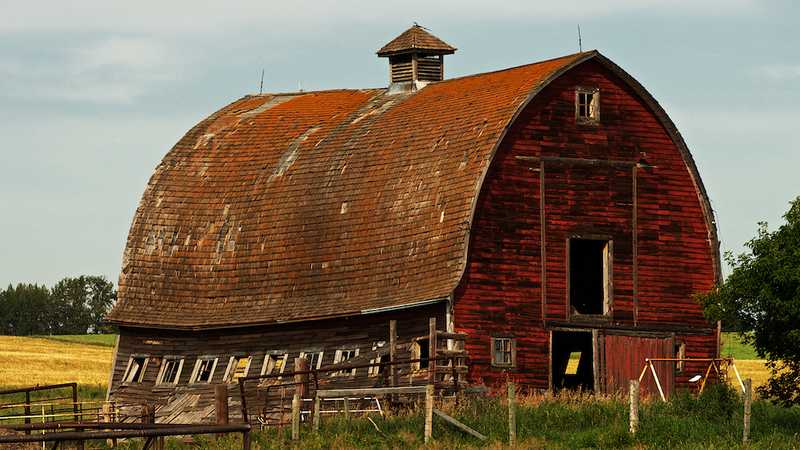 When paint became more available, many people chose red paint for their barns in honor of tradition.